Product information "Z-Wave.Me Z-Uno Module"
Create your own z-wave world, either by wiring up to your DIY project or even design your custom PCB to include Z-Uno Module. This small Z-Uno Module is made for business customers and geeks. Z-Uno Module is designed to be added in your smart products like any other RF chip. It can be used as a Z-Wave modem or can also do processing of input signals in your device replacing existing MCU. Z-Uno Module have 26 GPIO, USB, UART, SPI, I2C, 1-Wire, ADC and PWM to control a lot of peripherals. Z-Uno Module 100% software compatible with the Z-Uno Prototyping Board. 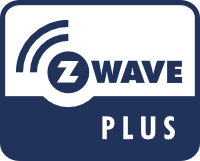 Z-Uno is Z-Wave Plus compliant and supports Z-Wave Security S2. Being Z-Wave Plus certified device, Z-Uno is compatible with other controllers too.